The gigantic upright ape known as Bigfoot or Sasquatch has been reported from across North America. But could it really exist? ?The value of sightings, footprints and photos is argued back and forth by sceptics and believers, but what about the scientific background to the ape. Is there enough food in the habitat for this sort of creature to survive? Where would Bigfoot fit into the ape evolutionary tree? ?Does Bigfoot conform to the laws of physics? The answers to these questions and many more are discussed here - and the author’s conclusions may come as a surprise to sceptic and squatcher alike. Bigfoot has an uneasy relationship with science. The lack of physical evidence means that mainstream scientists often refuse to give any credence to the subject, and for many Bigfoot believers “science” has becomes synonymous with “knee-jerk debunking”. Of course, it’s a truism that science can’t explain everything. But even that view can lead to problems. If you stray too far from established science you enter the realm of the mystical and paranormal – and for many believers, that’s just where they don’t want to be. To them Bigfoot is a real flesh-and-blood species, not a paranormal apparition. So for better or worse, the subject of Bigfoot has to be approached in a scientific way. The aim of this ebook is to explain what that means in simple everyday terms. 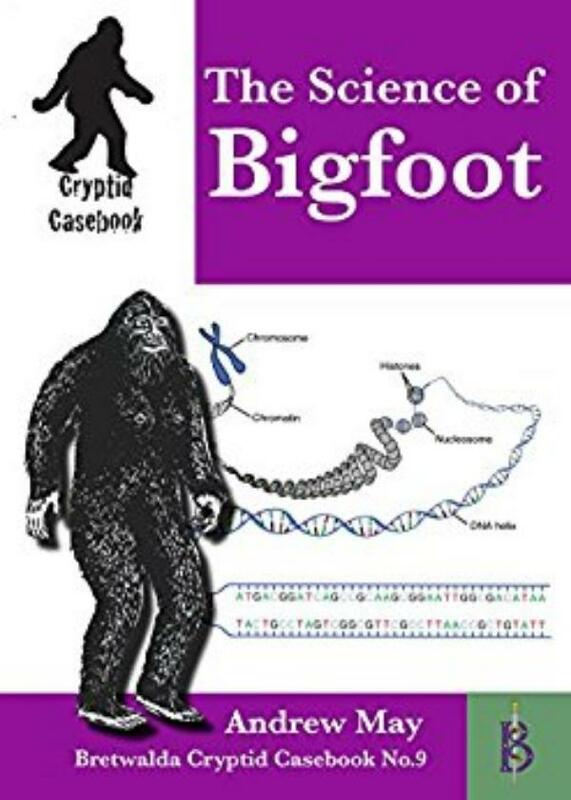 Chapter 7: Bigfoot – Beyond Science? My thirty-year career as a professional scientist spanned academia, the civil service and private industry. I obtained an MA in Natural Sciences from Cambridge University (Trinity College) in 1976, and a PhD in Theoretical Astrophysics from Manchester University three years later. I did two years postdoctoral research at the university of Groningen (where I worked in the same department as Seth Shostak, now of the SETI Institute) and another two years at Oxford University, where I was a Junior Research Fellow at Wolfson College. During the 1990s I worked in the scientific civil service, including a three-year tour of duty in the Ministry of Defence building in Whitehall... where I had an office close to Nick Pope, who was known at the time as “"Britain's answer to Fox Mulder”"! I now subsist on occasional consultancy work supplemented by freelance writing in fields as diverse as science, military history, Forteana, popular culture and New Age beliefs.